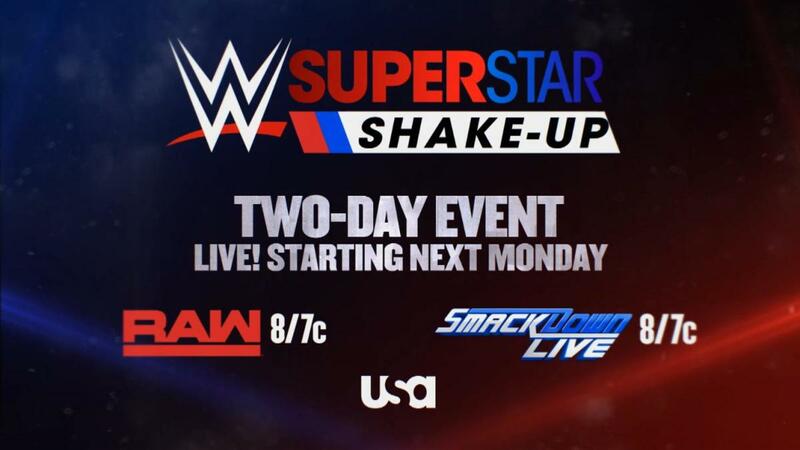 For the second straight year, WWE's "Superstar Shakeup" is scheduled for the week after the post-WrestleMania episodes of television. The 2018 roster shakeup was announced during an advertisement that aired following the first segment of tonight's Raw. It will again be taking place across two nights, with next week's episodes of Raw and SmackDown hosting the shakeup. Assuming it follows the same format as last year, the wrestlers who are moving from SmackDown to Raw will arrive on Monday. The ones who are switching from Raw to SmackDown will be revealed on Tuesday. The Intercontinental and United States titles swapped brands last year, with Dean Ambrose going to Raw and Kevin Owens joining SmackDown. Announcers were also included. Byron Saxton was added to the SmackDown commentary team and David Otunga was supposed to go to Raw before being replaced by Booker T.